I was walking down Broad St. with my camera, taking a break between classes and decide to get some street photography shots. 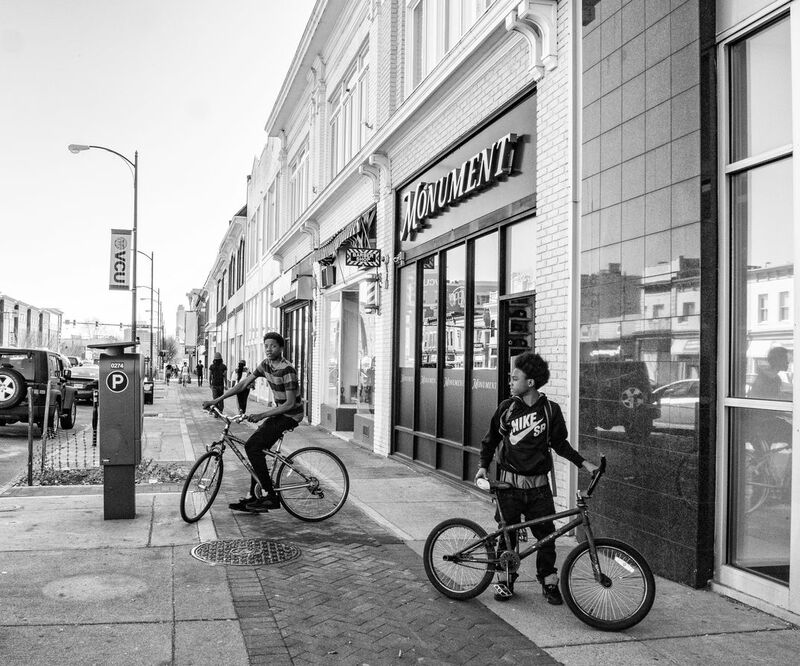 As I was walking thinking about what would be the best shot, I see two boys on bikes riding around on the sidewalk. There was action, youth and pride present in one or both boys. I waited for the right time and took the shot. Date Uploaded: Sept. 16, 2016, 9:45 p.m.